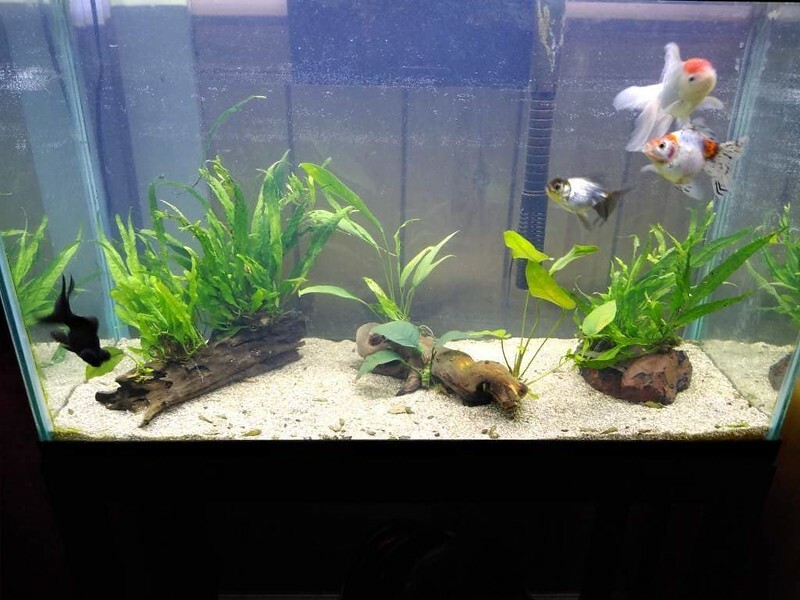 4 months ago trying my hand at a low tech tank, so I have a 29gal in the dining room with 4 goldfish. Little bit really goes a looooong way, tip of a teaspoon my phosphates blew past 10.0! Few water changes later I was able to hover around 5.0, but dosed a tad bit more before leaving for a 2 week vacation, had my automatic feeder setup and brother came by to check on the house (there is also rumor he hand fed the fish too) and gsa was on the lower portion of the tanks and all the leaves were covered in it, and leaves are getting yellow spots? Apparently things like to [censored][censored][censored][censored] when I leave. 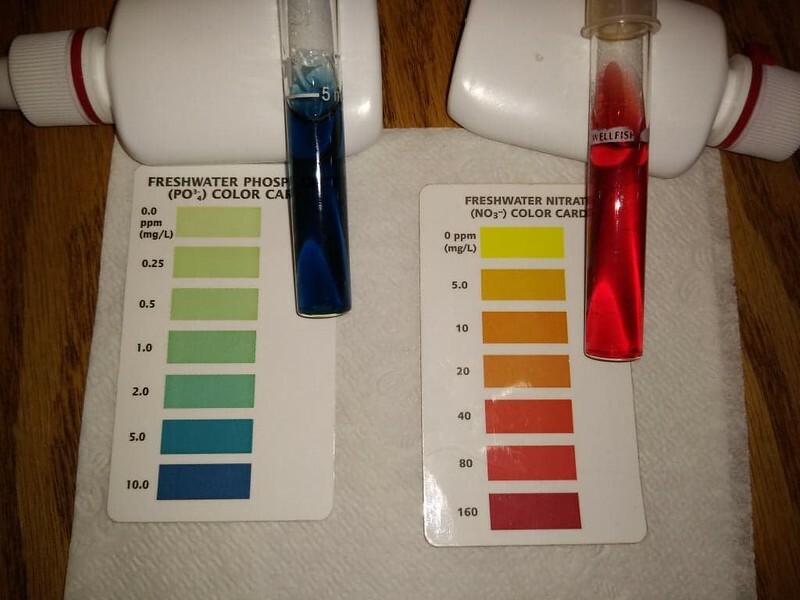 Nitrate was over 40ppm and phosphate still over 10ppm, did a 70% water change yesterday and rechecked levels as of right now nitrates are 20ppm and phosphates 2.0. I also razored the glass and gave everything a bleach dip AGAIN. Now is THIS the ideal level to maintain? 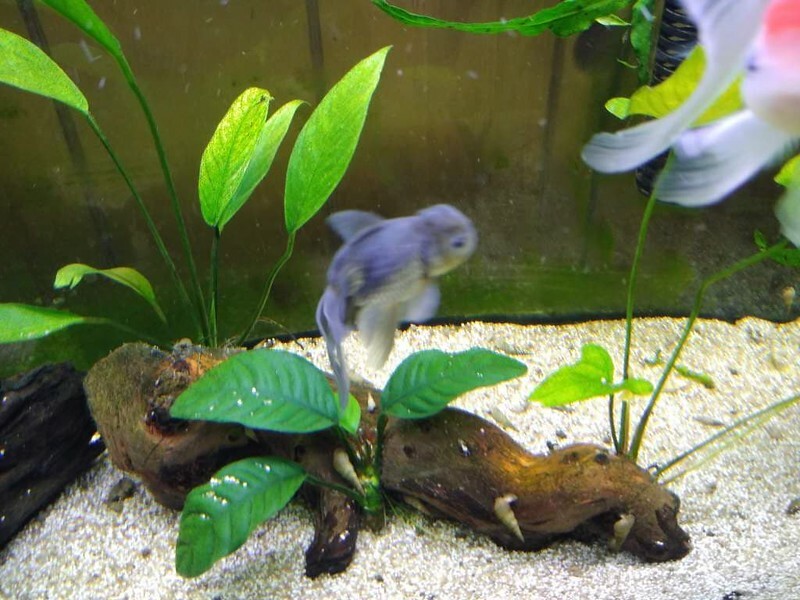 I had this vision of a nice low tech low energy planted tank, but its not turning out that way. I also like to keep my nitrates in the 5-10ppm but hear conflicting reports with ratios on that. Light wise, how is that light, medium ish level? This stuff is starting to annoy me. If it matters it has a HOB filter and has been cycled for years and I am on well water. p.s.s light is on a timer, 8hours a day. 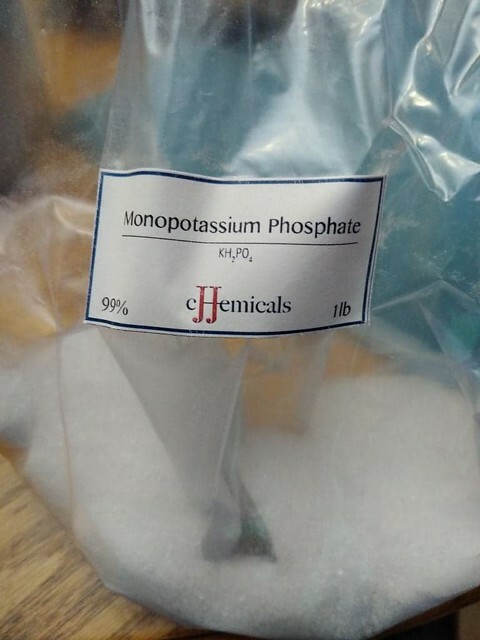 Other than phosphate are your dosing any other fertilizers? Nothing at all, Id prefer to dose nothing ever but I am seeing a difference between low tech and no tech, it doesnt exist. Simplest as possible always works. since you are not dosing any fertilizers you likely have overflow nutrient levels. At very low levels algae can still grow. Plants however cannot. However if the plants have everything they need to grow algae in general doesn't do well. 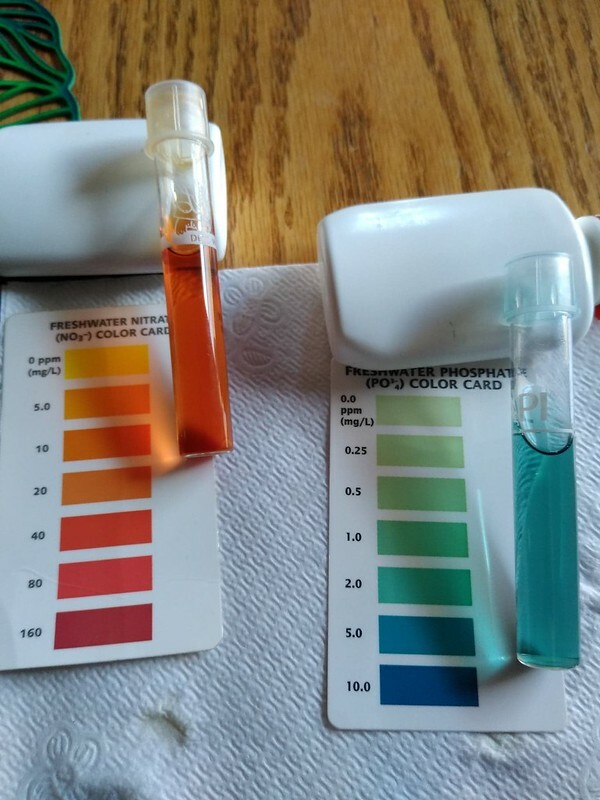 Your algae problem is related to the low nutrient levels. Also. So dosing potassium phosphate will not resolve your algae issue. 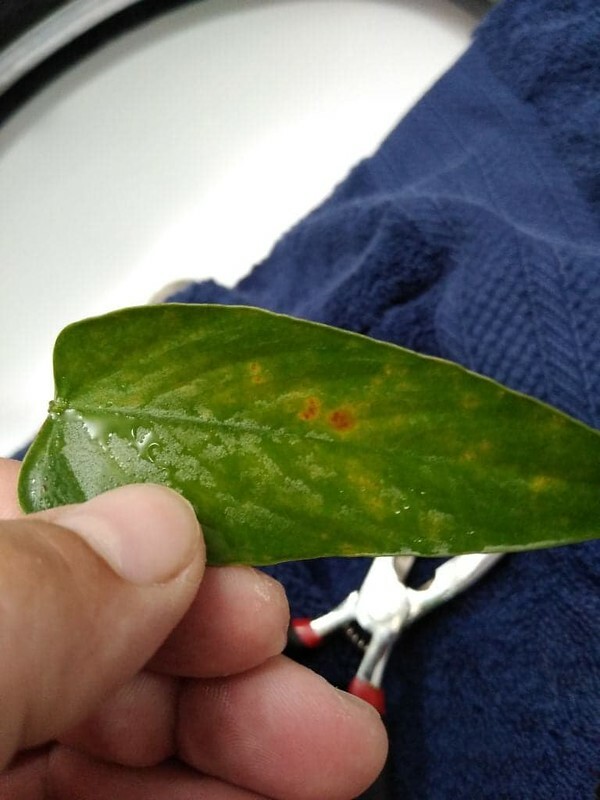 additionally your high nitrate and phosphate levels are likely due to the deficiency. When plants cannot grow they will not consume nitrates and phosphates. 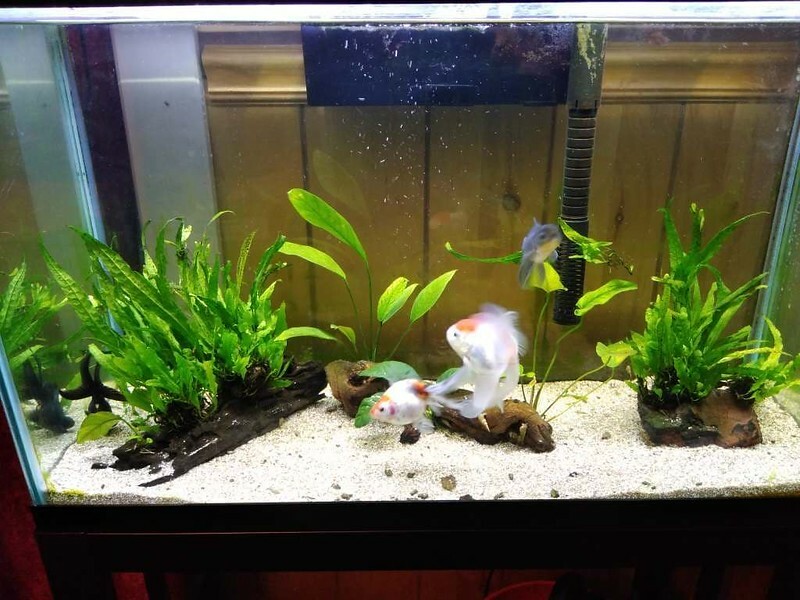 Since your fish are constantly produce some phosphate and nitrate and your plants are not growing, nitrate and phosphate levels will build up. You need to increase nutrient levels indoor aquarium What ever fertilizer you use right now you don't need to dose nitrate or phosphate. But once you get the nutrient levels resolved you might have to does nitrate or phosphate to keep those at adequate levels. Two fertilizers that might want to try are seachem comprehensive (it does have low levels of nitrate and phosphate. or seachem trace (no nitrate or phosphate) with and iron supplement (trace has no iron). Without knowing what is in your well water I cannot say if they will work. 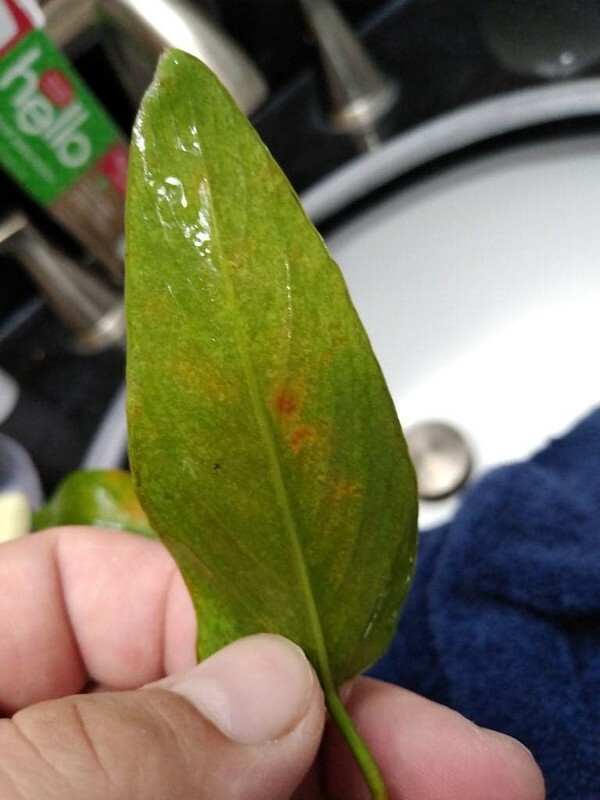 I would also suggest getting a GH and KH test kit some of your plants are exhibiting symptoms that might be caused by low magnesium or calcium levels You might also have a iron deficiency If your GH / KH levels are low you might have to add a GH booster to your water to increase calcium and magnesium levels. A liquid CO2 booster might also help control your algae while providing a carbon source your plants can use. Try Tetra FloraPride or API leaf zone, just follow the directions. Both add Fe and K which is most likely all you're missing. Immortal1 and cl3537 like this. Aw. Like @cl3537 said, no one ever pipes up about the light. Beamswork @ 8 hours full blast? Way too much light for the goal of low to "no tech" how you run your light is what decides how much tech is needed to support your tank. And then for your stated goal of low tech. Especially this page. By the way, you cant really "not dose anything at all." A plant in this case is like a pet. Would you not feed your pet? I suppose one can argue that you can technically achieve "not having to dose daily" in a low tech tank by changing your substrate or mess with root tabs and feed via roots only but that's just dosing in a different form. Deanna and cl3537 like this. Sorry for the late response, kept forgetting to reply. The GH and KH levels via test strip that I use just for giggles puts them both at max level for the well water. There are MTS in the tank and they seem to have no shell issues. The women always complains about the hardwater and her hair. Algae issues from lack of other nutrients you say eh.... this just goes to show no matter how much you read and research you really cant learn everything by yourself. So is comprehensive overkill since its abundant in alot of things, or is baby steps the best approach, IE Api leaf zone? As whats said in this said, another water change last week and the postassium phosphate remained at 2.0 didnt drop. Hope this next step gets everything under control.